Guys, Santa is back and he is ready to tell you the first thing he wants! Very simple and easy!!! 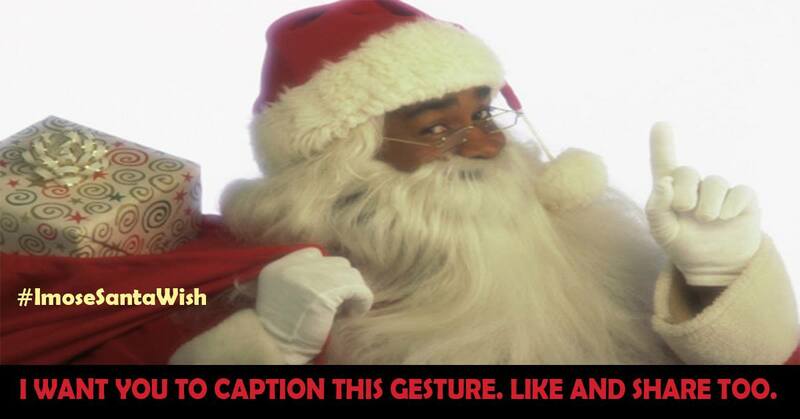 Santa wants you to caption his gesture in the image below! The most interesting caption that gets us applauding wins the stage. So, put on your creative caps and start reeling out those interesting captions you've always termed premium to yourselves. Only entries with the hashtags , #ImoseSantaWish and #ImoseMobile, will be considered. You must #LIKE and #SHARE the post. And yes, YOU MUST BE A FAN too!